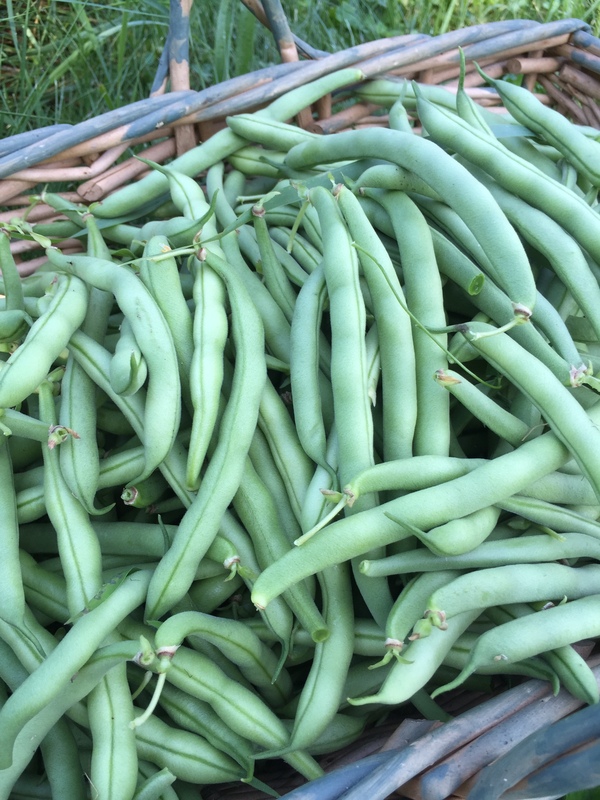 I went to the garden today for a second picking of green beans. The sun was behind the trees, and the dew still on. I was sure the mosquitoes would be after me—we’ve had a bad year with them. Once I knelt in the garden and started to pull back the plants to find the hidden fruit, the wind picked up. After I washed the beans, I sat with a glass of water and sipped slow. A crushed leaf was clinging to the hem of my dress. It was smashed green and perfectly flat hanging on with its Velcro fingers. I grasped the end of the leaf and I was surprised at the strength of the hold. So much stuff, yes. Most of that stuff clings to us like a burden. But that’s not all—it clings to us and we keep it! Does it make me proud of myself, that so many things take my attention? Do I feel terribly important when I can say—I’m busy out of my mind? Do I think I need to work hard like a horse to make God happy? What’s worse is most of it is highly overrated…by us. There is always something that drags us down. There are things, and the want of things. Things we think we have to do. Places to go because we don’t want to miss out. Bringing our focus away from freedom and the peace of Christ. Anxiety and fear are quite a pair…keeping us motivated to charge ahead without thinking. We need to give Satan the boot! I forget to tell him out loud that I won’t go there—I won’t cling to these things that make me anxious, but give it to God…again and again…until I rest there. It gets harder, with age, to carry around all those clingy things, and it seems there are more clinging things hanging on. It’s exhausting! When I’m really stressed I find myself digging up past stuff I vowed I had forgotten. I remind myself—I forgot that. I forgave what that person or event did to my life. It’s then I know that I am anxious about many things because I’m digging up those old things too. Why would I want to be anxious when I don’t have to be? Does it make me feel like things are getting done? I’m only trying to fit all the pieces of the puzzle of my life into a neat little box. It’s not God’s plan, but my plan. I really think I have all the right answers for these problems in my life…so why all that anxiety? Because it’s not working for me. Because I am really very small and weak, and I think it is so amazing that God doesn’t sit back and watch us with laughter and criticism instead of love and grace. He is longsuffering as we work so hard at life! He is patient beyond our understanding! He wants us to stop and see what we are missing. 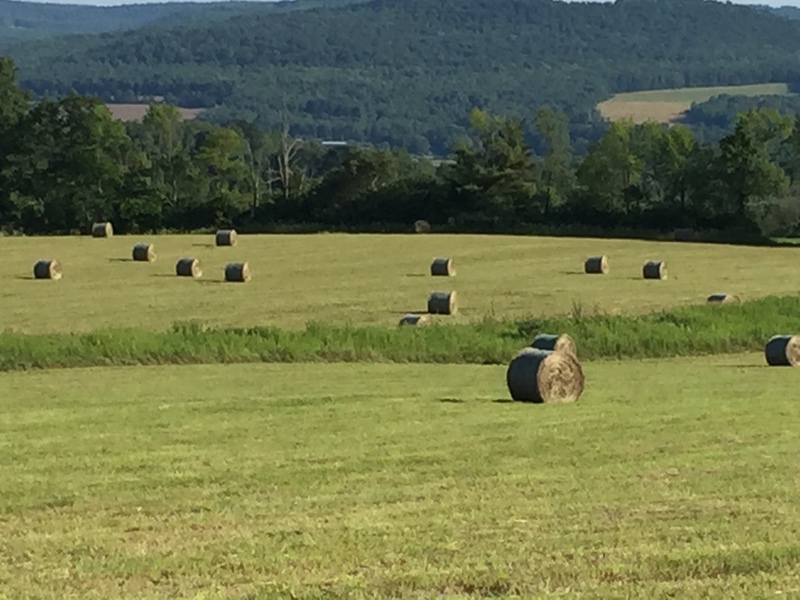 Last Sunday I saw a beautiful sight; fresh hay being wrapped tightly in clear plastic. The light on the field was soft and when the tractor left I took some photos. 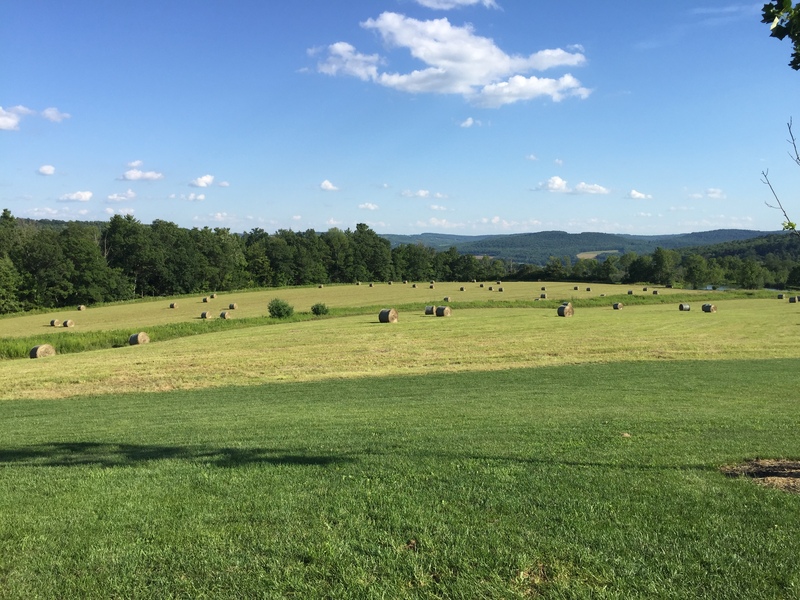 Tightly wrapped bales …kept against mold and ruin…kept dry for nourishment. I just want to snuggle up in the arms of the Savior and stay there. I want to be wrapped tightly, so I’m nourished constantly. I want to lift my eyes up to Him and keep them there. I want blinders on so my head won’t swivel to see all that spins in world I live in. Our lives are daily progress. One day life seems a breeze and the next the world stopped because yours came crashing down. That anxiety has got to go…for good. And fear can go along with it. There is no place for those in our lives with the Source that is daily supporting us. Keeping on track ourselves is impossible. We must make it possible to find a small group of intimate friends, or just one that we can call and share those hard things together…and pray. Why do we pretend there’s nothing wrong in our lives, as if we have it all in a nice tidy bundle? People don’t believe it anyway. And the sorry part is those ones who carry the heaviest burdens are afraid to speak because they fear what others will say about their imperfections, or lack of faith. We all say it. We all say we can’t do life without God. So lets stop pretending we have it all together. Share your burden with your close friend and lay it at the feet of Jesus together in prayer. Don’t cling to the old ways of the flesh that wear you out…be refreshed. 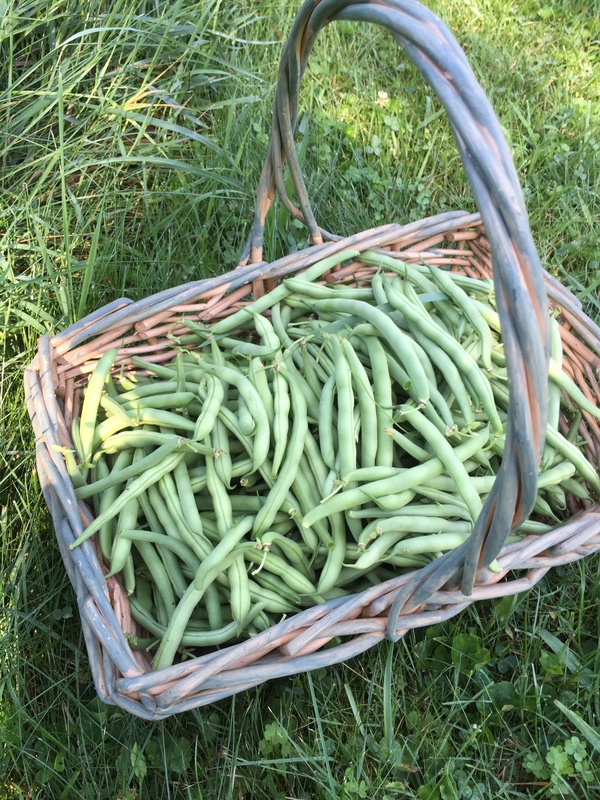 We, too, are in the season of green beans, and I’m picking and canning furiously. 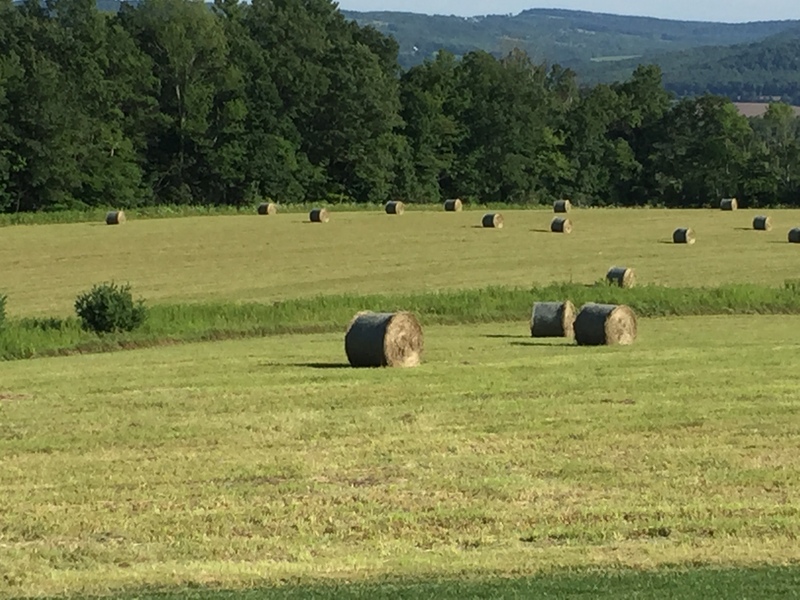 The “clinging” thought that comes to my brain whenever I’m in the bean patch is to wonder if the inventor of flannelgraph was sitting in her bean patch when she had her Aha moment! Blessings, Diane! Thanks for writing your beautiful summer days into our life lessons. I bet it was the bean patch, and a woman for sure! Thanks Michele!